W’s Question: My Dad uses the phrase “I just don’t experience emotions in the way you do,” but I know this can’t be. Our family has suffered a lot and his coping mechanism has been to shut down and ignore the problem, or run away to work. My question is, now that I understand how helpful it would be for him to recognize and express his feelings, and for me to hear that he has emotion, how can I help him understand himself? I am mostly concerned with the fact that I am suddenly aware of this and want to help, but I would never want to cross the line and make him feel somehow inferior or less of a man because of my interventions. 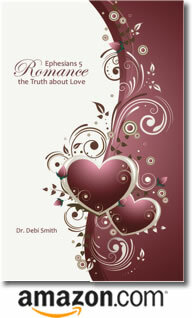 Dr. Smith’s Answer: This is a problem many women have in understanding the men they love. They confuse the experience of emotion with the expression of emotion. For women, emotional experience and emotional expression are pretty much one and the same. Although men experience the same emotions that women experience, they often express them very differently. For example, women express their fears by talking about them, whereas men are more likely to busy themselves with activities. Men aren’t ignoring their anxiety; they are coping with it by doing something constructive. It’s not a bad coping mechanism. It’s just a different coping mechanism. First, male and female communication styles are very different. Women prefer “undivided attention.” However, men are more comfortable talking when they’re engaged in an activity with someone. So it’s better if you are side-by-side, doing something together (e.g., washing the dishes or going for a walk) when you talk to him about anything serious. Things have been pretty hard around here lately, and I can only imagine how tough it’s been on you. I really appreciate you being here and taking care of us through it all. Finally, after you’ve made your statement, stop talking! Shut up. End of discussion. If he wants to talk more, he will. If he doesn’t respond, don’t pressure him. No matter what he does, you can rest assured that your empathy (understanding) will have registered with him, and you will have made a bigger impact on him than you can ever imagine.